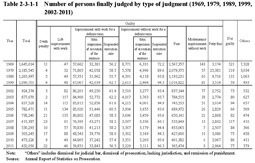 Table 2-3-1-1 shows the number of persons finally judged by type of judgment in 1969, 1979, 1989, 1999, and over the last 10 years. The number continued to decrease every year from 2000 (at 986,914), and was 432,050 in 2011 (down 8.7% from the previous year), and a decrease of approximately 50% over the last 10 years. That decrease was largely due to a decrease in the number of persons finally judged for violations of road traffic related acts. 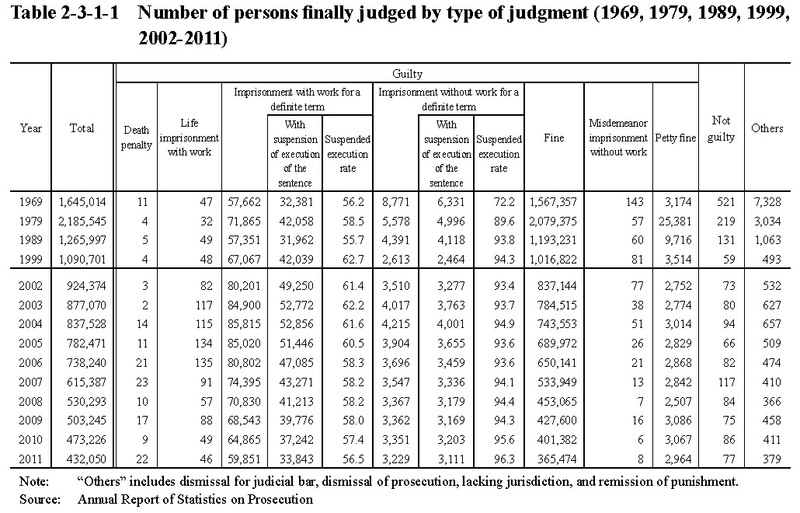 The number of persons finally judged as being not guilty was 77 in 2011, accounting for 0.02% of the total number of persons finally judged.